Since Michael Miller’s debut fantasy book, The Dragon’s Blade, was published last year, the book cover has been turning heads. In fact, even before publication, the author used the book cover design on fliers that he handed out at FantasyCon, where it successfully got people interested in his book. In December, it received the prestigious Gold Star Cover Design Award in the monthly TheBookDesigner.Com awards, set up by Joel Friedlander, an established book cover designer, to highlight and champion best practice in self-published cover design. And now, we are delighted to announce that it has won the SPFBO (Self-Published Fantasy Blog-Off) cover award, as voted for by some of the best fantasy bloggers in the business! The SPFBO is a genius initiative by fantasy aficionado and author, Mark Lawrence, whereby self-published fantasy authors can enter to get reviewed by the best and most influential bloggers in their genre. Mark says, “Frankly, you can’t buy better publicity.” Bloggers are an increasingly important part of any self-published author’s marketing strategy, and Michael Miller has made the most of this. He contacted lots of reviewers and Book Tubers (people that do book reviews to camera, and then post them to YouTube) offering a free copy in exchange for a review, and they have been coming in steadily ever since he launched. Check out the review from Connor O’Brien below, who gave it a 4.25 out 5 star rating! The book cover design of The Dragon’ Blade was initially put forward for the SPFBO by the review team at Bibliosanctum as one of their favourites. Although it has won the industry award, it will now go head-to-head with another 23 titles for a public vote, so please vote here. The cover started life as a rough pencil sketch by the author. Our specialist fantasy cover designer, Rachel Lawston, was able to totally grasp the idea and transform the concept. She elevated the simple drawing into a beautiful, colourful design, which she matched with a genre-appropriate font, to create a book cover that is both stunning and commercial. Crucially, despite being quite a delicate hand-drawn design, the image still works very well at thumbnail size (as it appears on online retailers). Book cover design is the cornerstone of any author’s brand, and self-publishing authors know just how important it is to get it right. People have very short attention spans and a slick book cover is a sure-fire way to get readers and reviewers interested. If you would like to find out more about how our design process works, check out our design page here. Or if you would like some suggestions on what sort of cover design would be right for your project then book in for a free self-publishing consultation below. Book cover design is a vital part of any publishing process (whether self-publishing or going the traditional route). No matter how good the content of the book or eBook is, if it is not presented correctly in a way that appeals to the right readers then they will be more likely to scroll on by than purchase your work. They may never find out how good your writing is if the cover puts them off giving it a go. Most book sales are now being made online – browsers are making snap decisions on whether to click on an image the size of a postage stamp. Your book cover needs to work harder than ever before to attract readers. This is trickier still for debut or relatively unknown authors, who don’t have a huge brand recognition to fall back on – J.K. Rowling could produce a book with an awful cover and the whole world would buy it – unknown authors don’t have that luxury. The good news is that if you get your book cover design right, it’s an easy way to stand head and shoulders above the competition. Trade publishers know that a book cover design can make or break a book, and invest huge amounts in getting it just right. In fact, if they have a book that has not sold as well as expected, they often re-jacket it (i.e. publish it again with a new cover) to boost sales. If you have a book or eBook that is not selling as well as you expected, it may be because your book cover design is letting you down. Luckily, with eBooks and print-on-demand editions, it is very easy to change your book cover. If you would like some advice on this, please book in for a free 1:1 design consultation at the bottom of this page. Your book cover design is an integral part of your author brand. It should convey the message you want to be giving out as an author, and be genre appropriate. The fonts, colours and styles you use on your book cover design will also be used throughout your brand, e.g. on your website, on your email footer, on your business cards, on your social media profiles, etc. You will need to create a design concept that works well across all these platforms. Think carefully about the kind of personality you want to have as an author; your brand design should reflect that. If you have other books in the pipeline, you might want to think about certain elements of the cover (e.g. the font your author name is in) that can work consistently across future titles. Our team of experienced designers know just how to turn an idea into a commercially successful book cover design. In fact, we recently won the Gold Star Cover Design Award in the monthly TheBookDesigner.Com awards (read more about that here) and have been shortlisted for the SPFBO (Self-Published Fantasy Blog-Off) cover award. Book cover design is a very niche skill – there are many graphic designers that can create good artwork, but creating something that appeals to the right readers, sits well amongst the competition, works well at thumbnail size, can work across your whole author brand and, most importantly, converts to sales is a very specialist talent. Our expert design team have honed their skills over years of cover design, both for self-publishing authors and big trade publishers. They are passionate about getting your cover design absolutely right. Check out some of their work here. Amazon.The first stage of our design process is research. Amazon is an amazingly useful tool for this. We encourage authors to carefully look through all the charts that they would like to feature in, including all the sub-charts, and have a good look at the designs of the covers that are doing well. Be really analytical, think about which covers you like and why – which fonts you prefer, which books you personally would be more likely to buy based solely on the cover design. If there are any that you like the style of, copy the Amazon link so that you can show your designer later. Book Cover Design Awards. Check out what the designers at the absolute top of their game are producing. This part of the process is a real joy and can give you some fantastic ideas. Often, the award-winning designs are surprisingly simple, yet utterly arresting. Some good sites to check are: The Academy of British Cover Design (ABCD) (yearly award), and www.thebookdesigner.com (monthly awards). There may also be a specific award for your genre, such as the SPFBO cover award for fantasy books. Pinterest Boards. Pinterest is a great place for visual research. First, type ‘book cover design’ in the search bar at the top – this will give you good design examples in all categories. Then, type in your genre, e.g. ‘crime book cover design‘ – this will bring up a selection of the crime covers that people really love. The great thing about this is that it’s not time specific; you can see older classic designs next to modern ones. Lots of springboards for great ideas. Visit your local bookshop. Last but not least, go down to your local store and take the time to fully browse your genre – see which sorts of covers are placed prominently in the shop. Imagine your book on the shelves, what would it need to be like to stand out? If you can, ask your local bookseller for their thoughts on this too. After conducting all of the research above, you should take some time to digest it all. It’s easy to get overwhelmed. Think about which were the best designs you saw and why, and which styles could work for your book. By now, you should have a better idea about the sort of cover design that you want to try for your own book. The next stage is to get that down on a brief that your designer can work through. A bad brief could undo all your good work in the research stage. You could have the best designer in the world, but if you aren’t able to communicate what you want well enough, or if you give them a bad idea to work with, you will not end up with a commercially successful jacket. You could ask the best designer in the world to design you a crime cover with a tin of beans on the front, but that’s probably not going to sell as many books as if you told him you wanted something in keeping with the genre and the main elements of your story. Also, the better your brief, the more likely your designer is to get it right first time. Make sure your designer understands who your book is for and which Amazon chart you would like it to feature in. You may have several completely different ideas – that’s fine – give them all to your designer, and they can help you work out which concept is the strongest. It’s best not to be too rigid about your ideas and let the designer’s experience and expertise guide the process. You might have specific imagery (photos/sketches) that you would like incorporated in your jacket design – give these to your designer, but give them creative freedom to develop them and tweak them as they see fit. Aline Waites came to us with a very witty book about a grumpy old man who decides to have another go at life, after a chance encounter with an ex-girlfriend. 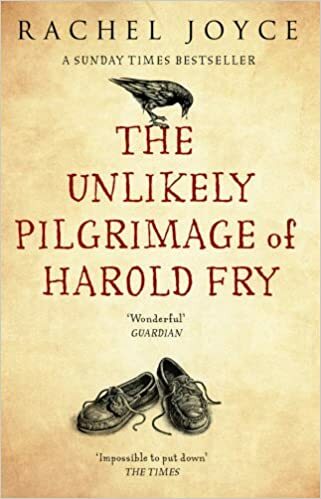 During the research stage, we found lots of successful books with fantastic covers in this genre, such as: The 100 Year Old Man Who Climbed Out of the Window and The Unlikely Pilgrimage of Harold Fry. With that in mind, the author wanted an image that conveyed the main character’s love of drinking, smoking and music, and possibly the fact that he was alone, bar the cat his daughter had dumped on him before she left for Australia. The initial sketch the author provided is on the left and the cover she most wanted to emulate is on the right. Using both your brief and their own creativity, our designers come up with some rough mock-ups of different book cover design concepts. This is a developmental stage whilst the designers are exploring ideas. When your designer delivers their rough mock-ups, obviously you should note your gut reaction, but don’t rush in getting back to your designer. After jotting down your thoughts, put the mock-ups away for a day or two and come back to them afresh to see if your initial feelings hold true. It’s also a good idea to canvas friends and family, especially if they are regular buyers of your genre. CASE STUDY: The sketch the author provided was not of high enough quality for our designers to use, but it got them thinking along the right lines. They knew that having a textured, hand-drawn feel was important, but they needed a clear image that would work better at thumbnail size. They tried using a piano to represent the music-loving element of the main character. They also tried having an ashtray either on the piano or as an element by itself, and of course, his feline companion needed a prominent place on the cover too. Our designers will take your feedback on board and create the final masterpiece for you, so you can start promoting and publicising your work way in advance of publication. CASE STUDY: The author preferred the warmth of the yellowy/golden cover and decided she didn’t like the piano as much as she thought she would. Instead, she wanted another way to convey the musical element, so we settled on manuscript paper, a few sheets of which the cat is now sitting on. The end result is really striking and works very well, both as an eBook thumbnail and on the paperback editions of the book. If you would like some free, expert advice on book cover design ideas for your next book/eBook or even if you want to breathe new life into a project that is already published, please book in for a 1:1 design consultation below. We can give you feedback on any ideas you have and make some suggestions of our own based on your subject market, target market, format and genre. You can also pick our brains on any other element of the self-publishing process.